At my favorite thrift store again tonight (Unique in Riverdale, NY), I found several items that I thought worth showing. 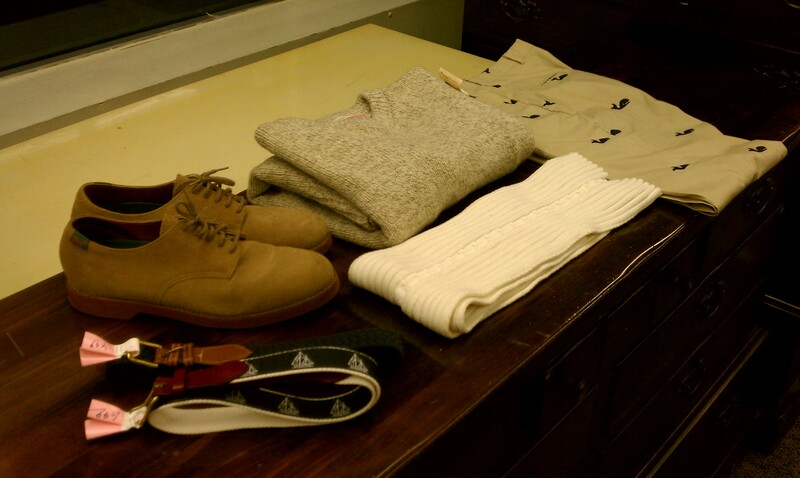 L to R: Nautical belt from Leather Man Limited in Essex, CT ($6.99), navy surcingle belt from Dockers ($4.99)…not a preppy brand per se, but passable, dirty bucks with brick red soles from Bass ($12.99), crew neck heavy wool sweater from L.L. 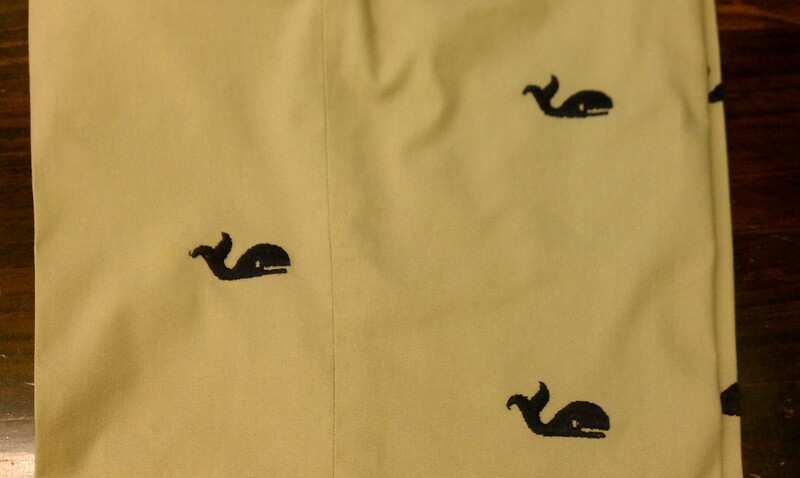 Bean (19.99), no name white 100% cotton scarf ($3.99) and a pair of no name 100% cotton, plain front khakis embroidered with whales ($12.99)…though I thought the whale motif just a bit too large. Total cost of all items: $66.94. My guess is that these items would retail for around $300. So what items did I buy? I got the L.L. Bean sweater. 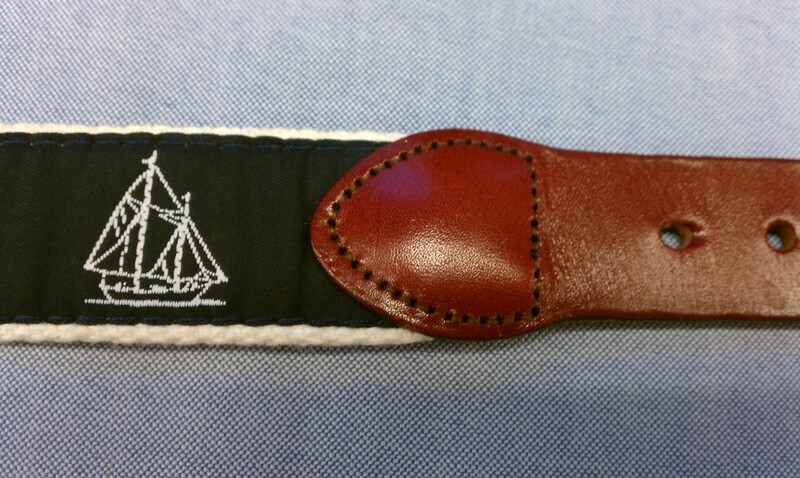 It was a large and a perfect fit, made in the USA of 85% wool and 15% nylon for strength. It will be great for winter. I also got the navy surcingle belt. Again, a perfect fit. 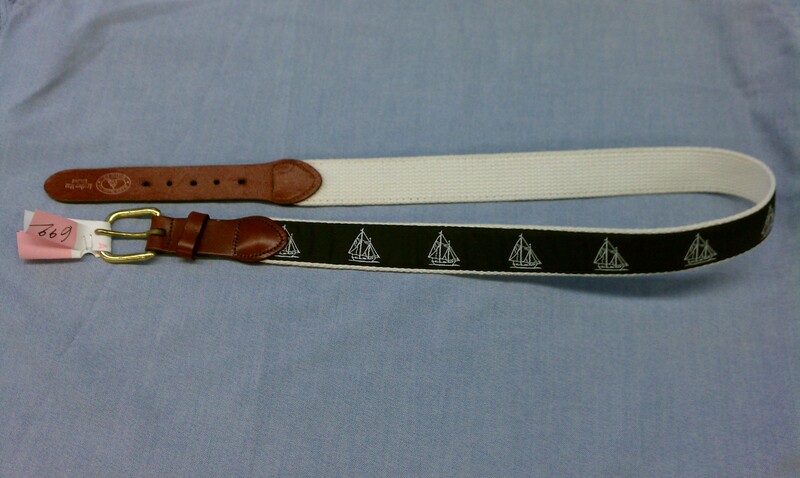 The nautical belt from Leather Man was such a great find, but not the right size. 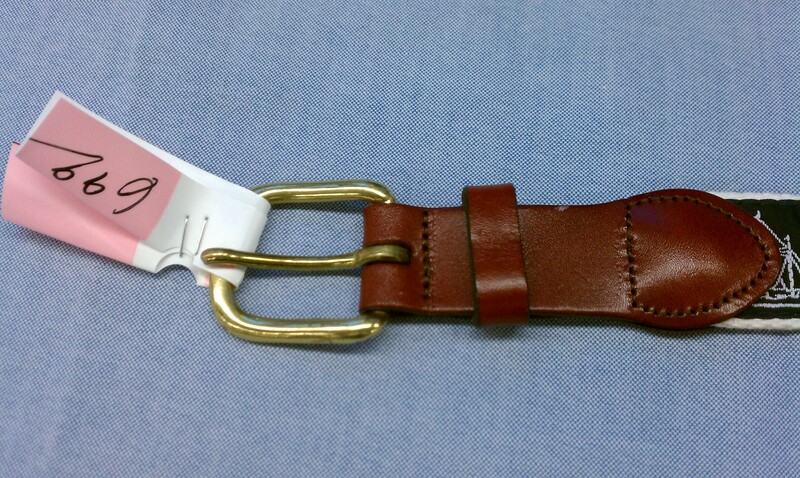 It was the third belt from that maker I’ve come across in the last month. The Bass shoes were unfortunately 1/2 size too small. The embroidered khakis were not my size either. I passed on the sarf. The shots for this trip were taken inside the thrift store under fluorescent lights (please excuse). 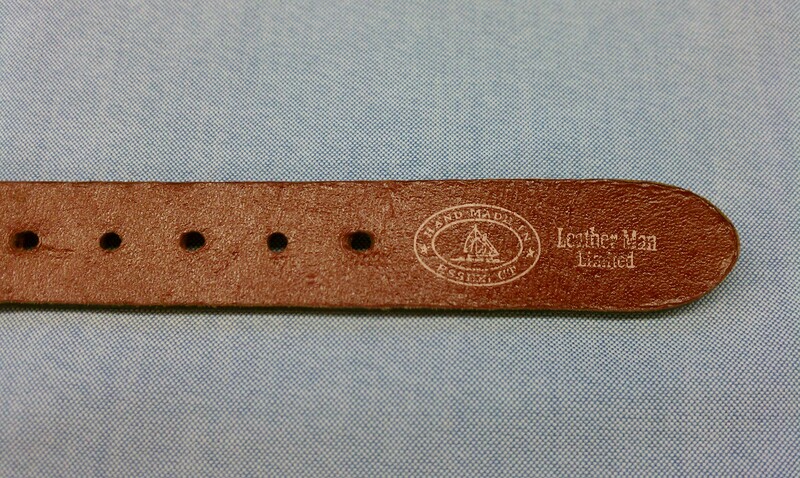 The workmanship on the Leather Man belts always seems of the highest quality, and I wouldn’t mind making a trip to their factory/store. It’s about 90 minutes from where I live. I’ve been looking for a while now for a pair of dirty bucks, but I can never seem to find them in the right size. I wear an 11 and these were 10 1/2. 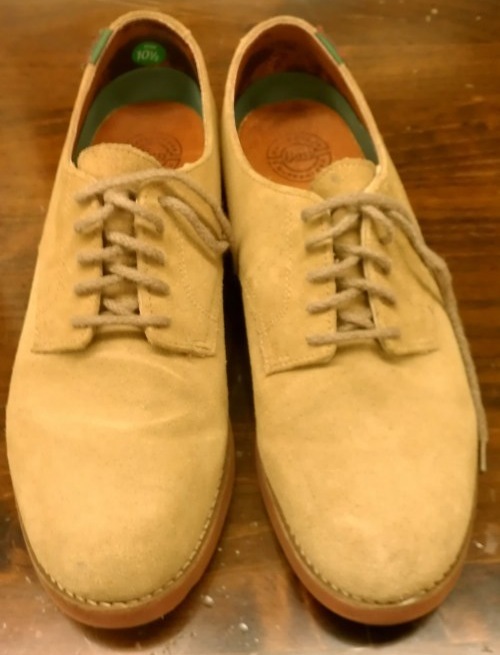 They were in especially good condition, which is rare for thrift store shoes. One guy in the store tonight had found two pairs of perfectly fitting canvas Sperry Topsiders. 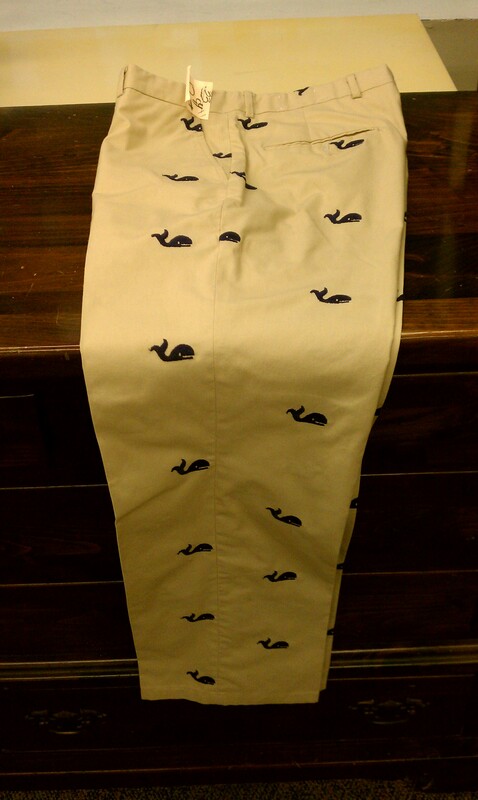 Most of the time I buy my shoes at factory outlet malls (Sperry, L.L. Bean, Bass and Cole Haan all have stores at a nearby outlet). I’ve also found leather Topsiders, Clark’s Desert Boots and Cole Haan leather, cap toe dress shoes for 50% off at Marshall’s. Follow Up Note: All of the items that I did not buy on this trip were GONE the next day.